Ellis “Geno” Betts was born on January 30, 1954 in Booneville, Mississippi. Early in his life, he migrated to Illinois where he later graduated from Joliet West High School. He excelled as a champion wrestler during his high school career. He also attended Joliet Junior College where he had obtained numerous certificates while enrolled. 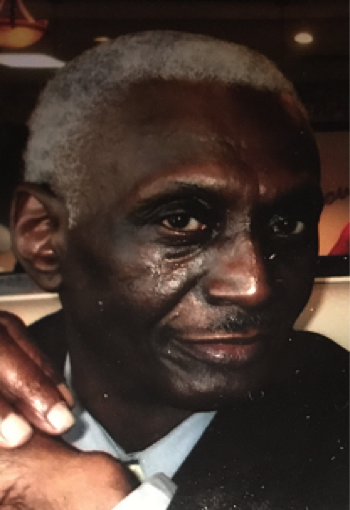 Ellis indulged in a number of career paths, he was an entrepreneur, a security officer, and was also employed by Joliet Township High School District 204 as a bus driver. He had a number of hobbies and really enjoyed fishing. He also had a great appreciation for all sports (especially wrestling). Ellis was always willing to help others and truly admired his family and friends. We take this time to celebrate his home going as he went to be with the Lord on December 26, 2017. Ellis is survived by his wife, Stella Betts, his mother, Flora L. Betts, one brother, Rickey (Donna) Ellis and one sister, Sandra (Roy) Williams all of Joliet, IL, 3 sons, Anthony Betts of Phoenix, AZ, Ellis Jamaal Betts of Cleveland, Ohio, and Malcolm Betts of Joliet, IL, 3 step daughters, Sherece (Jamond) Rogers of Milwaukee, WI, Traci Travis (Vincent) and Stephanie Ellis both of Joliet, IL, 2 step sons, John Travis of Atlanta, GA and Corbin Ellis of San Diego, CA, 2 aunts Geraldine McDonald of North Attenborough, MA and Lucille Brewery of Cleveland, OH, 13 grandchildren and a multitude of nieces, nephews, co-workers and friends.